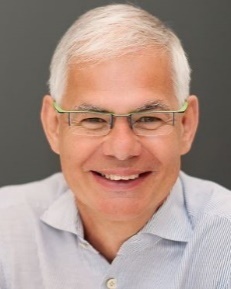 Andy Green holds a number of Chairman, NED and advisory roles, linked by his passion for how technology transforms business and our daily lives. He chairs IG Group plc, a global leader in online trading and the Digital Catapult, an initiative to help grow the UK Digital Economy. He is SID at Avanti plc, a global broadband satellite operator. He is advisory Chairman at npGroup, which offers technical resourcing solutions across the world. He also advises Tagos, DockOn, the Eight Great Technologies Fund and Thomas Swan. He became a National Infrastructure Commissioner in April 2017. He is President of UK Space, co-chair of the UK Space Leadership Council a member of the CBI President's Committee, a trustee and Vice Chair of the Disasters Emergency Committee, a trustee of ABESU and The Tech Partnership, and is a Companion of the Chartered Management Institute. Recent previous roles include SID at ARM Holdings PLC, board member of the CBI, member of the Digital Economy Council and Chairman of DockOn AG. Andy was CEO and a member of the board of Logica plc from January 2008 to August 2012. Prior to joining Logica, he had been a board member at BT Group plc from 2001. During his 21 years at BT, Andy held many senior positions, including CEO BT Global Services and CEO BT Openworld. He previously served on boards in Europe, Asia and the US, including, until July 2008, the board of Navteq Inc. He began his career with Shell and subsequently joined Deloitte Haskins & Sells.